At first glance, the Under Armour Camo HeatGear Cap might look like just another camo hat. But upon further review, this hat will run circles around your other hunting headwear. This Under Armour hat features a sweatband on the inside that is fused with HeatGear technology. This allows the cap to wick away moisture from your head and prevent sweat from running down your face when you are about to shoot the trophy of a lifetime. 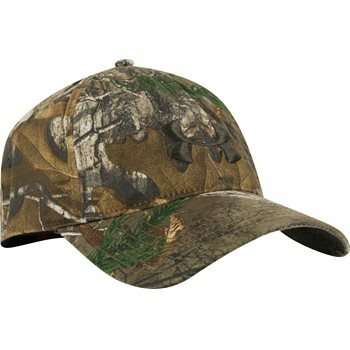 You do not want to be caught in the woods without the Camo HeatGear Cap when the temperatures start to climb.